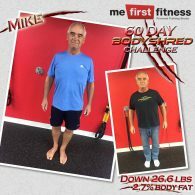 Join your own PERSONAL 8 Week Weight Loss Challenge! Just $249.00 CLICK HERE! 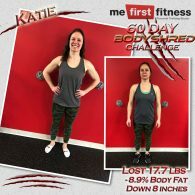 45 Classes weekly to choose from! 2017 Body Shred Challenge Video How they did it! 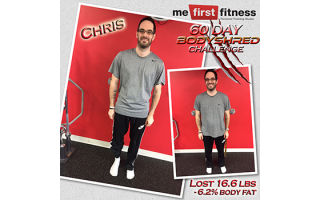 Find out what the participants had to say about our 60 Day Challenge and how they lost all that weight! 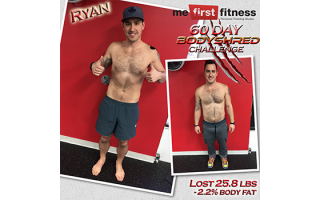 2016 Body Shred Challenge Video How they did it! 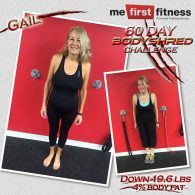 Congratulations to Colleen for losing 13.97% of her starting weight! 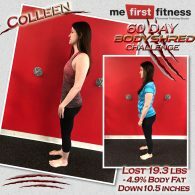 Colleen dropped a total of 19.3lbs, 4.9% body fat and lost 10.5 inches in just 60 days. 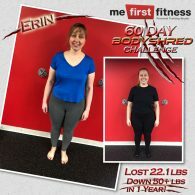 Congratulations to Ann for losing 11.93% of her starting weight! 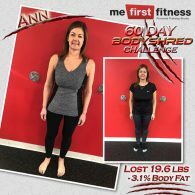 Ann dropped a total of 19.6lbs and lost over 3% body fat in just 60 days. 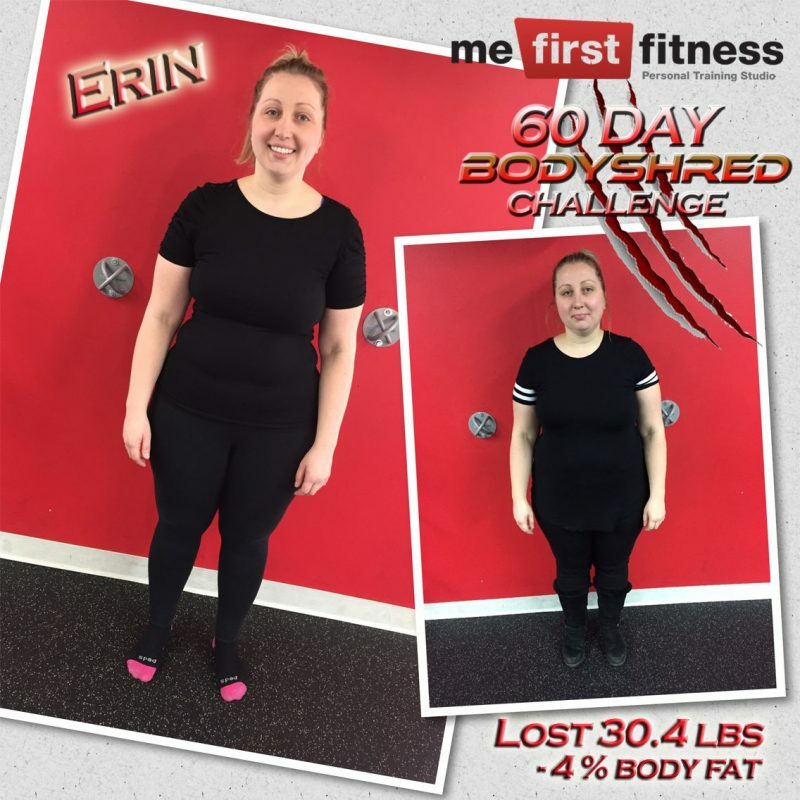 Congratulations to Erin for finishing 1st place in total weight loss in our 2018, 60 Day Challenge. 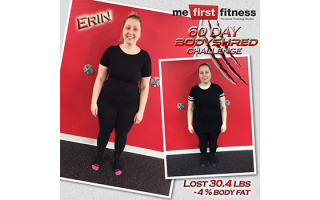 Erin lost 22.1lbs in just 60 days! 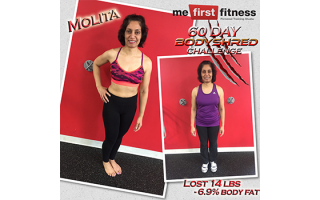 Congratulations to Amanda for losing 6.2% Body Fat in just 60 days and taking home 1st place in this category. 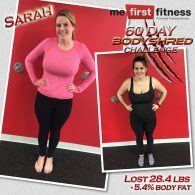 Amanda also lost 19lbs. A look at the winners from 2017 and their accomplishments. 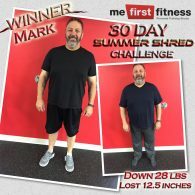 Mark Vitelli took home two awards for total weight loss, losing a whopping 28lbs and total percentage of weight loss at 10.46% of his starting weight. 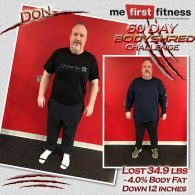 This was done in one month starting June 1st, 2017. 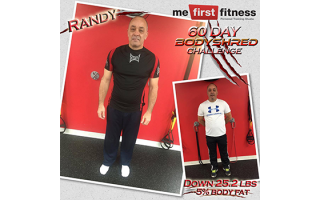 In addition Mark lost another 20lbs in our previous body shred challenge! Way to go, Mark. 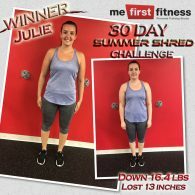 Julie took home the 1st overall prize for our Summer Shred Challenge losing an incredible 13 total inches in just 30 days! 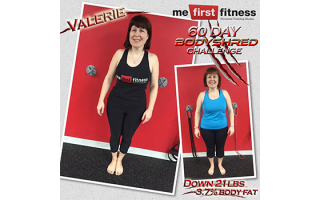 What an amazing transformation, Julie! 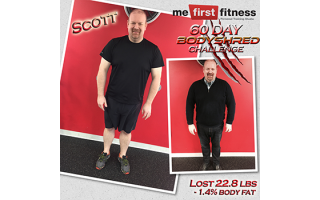 All that hard work and a a healthy diet sure did pay off! 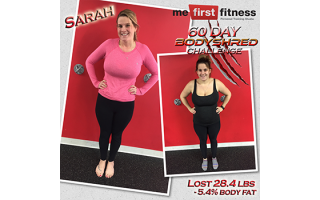 Sarah Gibbons was the winner of our 2017 Body Shred Challenge losing 28.4lbs for a total of 14.90% of her starting weight. 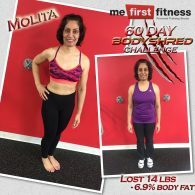 She was able to change her eating habits despite having 13 month old twins at home and made a commitment to exercise, giving it 110% effort at every class she attended! A look at the winners from 2016 and their accomplishments.